The scheme envisages lifting of Krishna water at two different places; one at Panchadevapadu (Village) foreshore of Jurala Project and another at foreshore of Ookachetty Vagu project at Ramanpadu for irrigation in the chronically drought affected upland areas of Makthal, Maganur, Atmakur, Narva,China Chintakutna, Devarakadra, Kothakota, Peddamandadi, Addakula, Wanaparthy, Pebbbair, Pangal, Weepangandla, Koderu and Kollapur Mandals of Mahabubnagar District.The C.W.C. 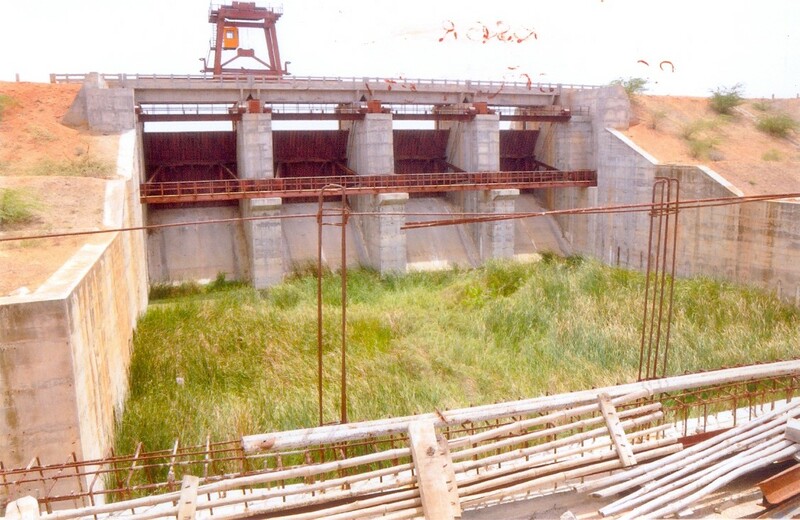 has cleared this project for utilizing 20TMC of water to irrigate an Ayacut of 0.82 Lakh Ha(2.03 Lakh acre) and 0.45 Lakh Ha (1.11 Lakh acre) under Lift-I and 0.37 Lakh Ha(0.92 Lakh acre) under Lift -II in addition to the stailization of existing Ayacut of 863.6 Ha(2134 acre) under Shankarasamudram and 755 Ha (1866 acre) under Rangasamudram tank which are proposed to be converted as Balancing Reservoirs under the scheme. The Government have accorded Administrative sanction vide G.O. Ms.No. 17,I & CAD (Irrg.V)Dept., Dated:01.02.2008 for an amount of Rs. 2158.40 Crs. b) No. of Pumps 3 Nos. 3 Nos.